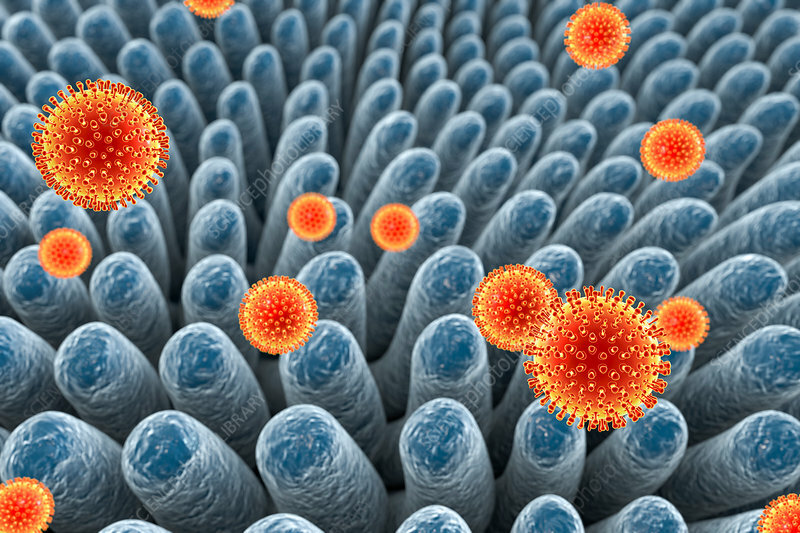 Rotaviruses infecting intestine, computer illustration. The virus particle consists of an RNA (ribonucleic acid) core surrounded by a triple layered capsid. Rotaviruses are probably the most common viruses to infect humans and animals. They are associated with gastroenteritis and diarrhoea - typically infecting the intestines of children aged from 6 months to 3 years. The viruses are spread in faeces.